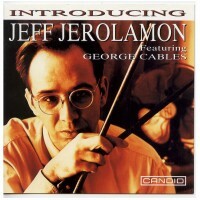 Jeff's Candid debut CD was cast in the modern manner and featured the excellent George Cables. For this second date, Jeff wanted to form a band which would allow him to play in the tradition of Krupa. Rich and Bellson while maintaining his own stylistic identity. The five men involved - Randy Sandke (trumpet), Doug Lawrence (tenor sax), George Cables (piano), Harvie Swatz (bass), Jeff Jerolamon (drums) - obviously relished the opportunity to inspect these classics of the swing repertoire, affixing their own personal stamps to well loved melodies. 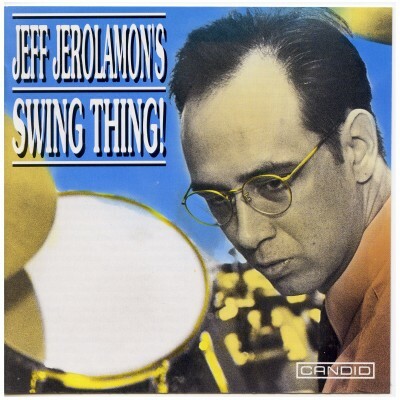 You can hear the joy in their playing and in Jeff Jerolamon's timely idea to refresh a bunch of favourites.